March Madness is upon us, which means you've employed any number of strategies in hopes of filling out the perfect bracket. Maybe you relied heavily on historical seeding statistics (using the article we supplied). Maybe you used some advanced probability equation to make your picks. Maybe you just like one team's mascot more than the other. Backed by historical seedings, the picks are the algorithm's, not the data scientist's. 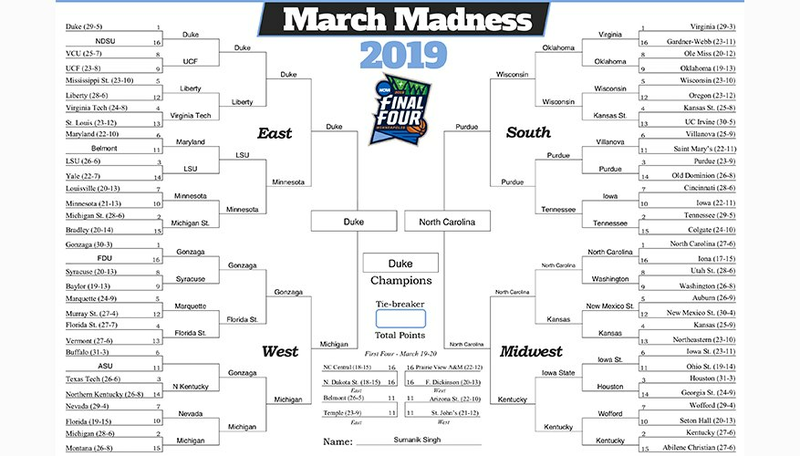 Loaded with upsets and irrational picks based on mascots, family allegiances and misguided loyalties. Lauing, Jacob. 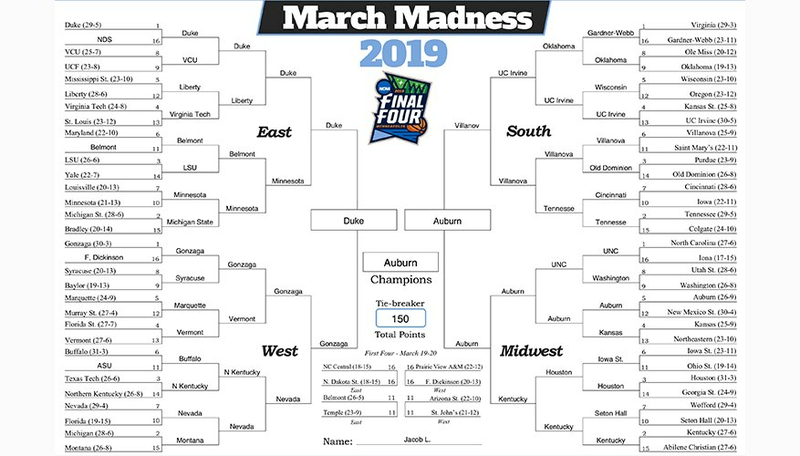 "Sports Fan vs. Data Scientist: How to Fill Out an NCAA Bracket." Sciencing, https://sciencing.com/sports-fan-vs-data-scientist-how-to-fill-out-an-ncaa-bracket-13718070.html. 21 March 2019.